VENDING PRODUCT DISTRIBUTORS!! 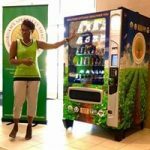 Buy products wholesale from these product distributors, for your vending machines and micro market and office coffee service businesses. Please contact these product suppliers direct for more information on their products and pricing. Candy Nation is a wholesale candy distributor. Buy your vending candy online today at www.CandyNation.com. We specialize in bulk candy! Gumball.com is THE gumballs & gumball machine megastore! We got our start in 1993, we stock a wide array of vending products ranging from the classic bubble gumball machine to professional grade snack and soda machines, bill changers, bulk gumballs, super balls, flat vending-stickers, toy capsules, replacement parts and more. It’s in our name and we promise our gum balls and bulk candy will always be fresh. To shop online now go to www.Gumball.com. Master Wholesale – We are one of the largest independent vending distributors in the country! We are headquartered in St. Louis, Missouri, with branch locations in Kansas City, Missouri and Dallas, Texas. We offer a full line of vending machine products which include candy, snack items, milk, juice & water, bakery items, a large variety refrigerated and frozen items and coffee just to name a few. Please visit our website MasterWholesale.com Contact us:1-800-952-8363. Morgan’s Specialty Snacks – We are a wholesale product distributor and a vending operator of “specialty foods” that range from organic, kosher, vegan, non-GMO, and gluten-free. 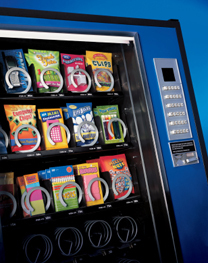 Many of our products are great for vending machines and micro markets. So, whether you want plant-based energy bars, or gluten-free, kosher cookies & scones, vegan and natural jerky treats to potato chips… we have a growing selection of healthy snack options to offer! Visit website www.morgansspecialtysnacks.com.